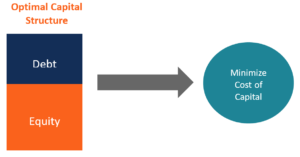 Cost of capital is the minimum rate of returnInternal Rate of Return (IRR)The Internal Rate of Return (IRR) is the discount rate that sets the net present value of an investment equal to zero. This guide to calculating IRR will give several examples and who why it's used in capital budgeting, private equity and other areas of finance and investing. If IRR is greater than cost of capital, that a business must earn before generating value. Before a business can turn a profit, it must at least generate sufficient income to cover the cost of the capital it uses to fund its operations. Cost of capital consists of both the cost of debt and the cost of equity used for financing a business. A company’s cost of capital depends to a large extent on the type of financing the company chooses to rely on. The company may rely solely on equity or debt, or use a combination of the two. The choice of financing makes the cost of capital a crucial variable for every company, as it will determine the company’s capital structureCapital StructureCapital Structure refers to the amount of debt and/or equity employed by a firm to fund its operations and finance its assets. The structure is typically expressed as a debt-to-equity or debt-to-capital ratio. Debt and equity capital are used to fund a business’ operations, capital expenditures, acquisitions,. Companies look for the optimal mix of financing that provides adequate funding and that minimizes the cost of capital. In addition, investors use cost of capital as one of the financial metrics they consider in evaluating companies as potential investments. The cost of capital figure is also important because it is used as the discount rate for the company’s free cash flows in the DCF analysis modelDiscounted Cash Flow DCF FormulaThe discounted cash flow DCF formula is the sum of the cash flow in each period divided by one plus the discount rate raised to the power of the period #. This article breaks down the DCF formula into simple terms with examples and a video of the calculation. The formula is used to determine the value of a business. How to Calculate Cost of Capital? The most common approach to calculating the cost of capital is to use the Weighted Average Cost of Capital (WACC). Under this method, all sources of financing are included in the calculation and each source is given a weight relative to its proportion in the company’s capital structure. Cost of debt in WACC is the interest rate that a company pays on its existing debt. Cost of equity is the expected rate of return for the company’s shareholders. Cost of capital is an important factor in determining the company’s capital structure. Companies are usually looking for the optimal combination of debt and equity to minimize the cost of capital. Determining a company’s optimal capital structureCapital StructureCapital Structure refers to the amount of debt and/or equity employed by a firm to fund its operations and finance its assets. The structure is typically expressed as a debt-to-equity or debt-to-capital ratio. Debt and equity capital are used to fund a business’ operations, capital expenditures, acquisitions, can be a tricky endeavour because both debt financing and equity financing carry respective advantages and disadvantages. Debt is a cheaper source of financing as compared to equity. Companies can benefit from their debt instruments by expensing the interest payments made on existing debt and thereby reducing the company’s taxable income. These reductions in tax liability are known as tax shields. Tax shields are crucial to companies because they help to preserve the company’s cash flows and the total value of the company. However, at some point, the cost of issuing additional debt will exceed the cost of issuing new equity. For a company with a lot of debt, adding new debt will increase its risk of default, the inability to meet its financial obligations. A higher default risk will increase the cost of debt, as new lenders will ask for a premium to be paid for the higher default risk. In addition, a high default risk may also drive the cost of equity up because shareholders will likely also expect a premium for taking on additional risk. 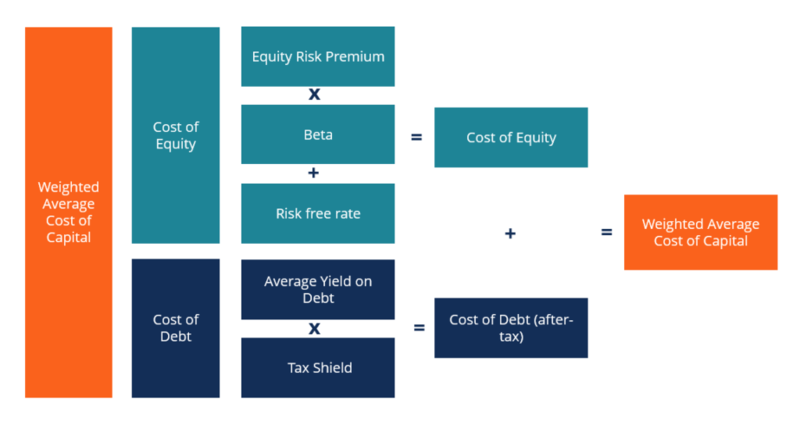 Despite its higher cost (equity investors demand a higher risk premium than lenders), equity financing is attractive because it does not create a default risk to the company. Also, equity financing may offer an easier way to raise a large amount of capital, especially if the company does not have extensive credit established with lenders. However, for some companies equity financing may not be a good option, as it will reduce the control of current shareholders over the business.